Dallas POS systems specialize in cash registers, iPad POS, and touchscreen point of sale systems for restaurants and retail businesses. We think pos systems should be easy, intuitive, smart and fun to use. We offer industry-specific solutions to meet your business needs. It can be difficult to find a local POS company near you that provides the system and services you need to be successful. With the price of a traditional point of sale system continuing to rise, and the “big brand” companies being bought out by even larger brand companies, getting quality service and support at an affordable price has increasingly become more challenging. At Dallas POS Systems our mission is to provide a quality point of sale system at a reasonable price. We only work with systems that meet certain criteria. For instance, we will only represent a POS software company if they provide 24/7 software support to their customers. Also, the system can’t be too complicated for someone to learn it themselves and to make simple menu or admin changes. Lastly, our systems must have industry-specific features and be at a price point that doesn’t break the merchant’s bank. At Dallas POS we offer the latest technology and state-of-the-art iPad POS systems including POSLavu. 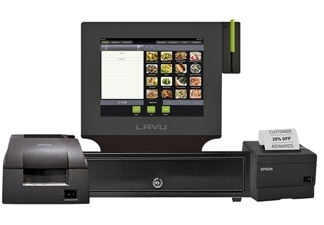 Dallas POS Systems is a premier reseller of POSLavu, tablet, and touchscreen point of sale systems for restaurants and retail businesses. We also offer tablet and touchscreen solutions like Harbortouch Elite POS, Harbortouch Bar and Restaurant, Harbortouch Salon and Spa, and Harbortouch Echo POS, along with hardware sales, support, and competitive credit card processing rates. Our claim to fame is that we specialize in discovering the best point of sale system and merchant services based your business needs. Not all of our systems are going to fit every situation, and that’s ok, we will let you know if we don’t have a product match for you. With hundreds of POS installs and satisfied customers, we know you’ll be pleased with our products, service, and support. Our parent company (Point of Sale USA) is also PCI Security Council QIR (Qualified Integrator and Reseller) Certified out of a handful of point-of-sale businesses in the country. Dallas POS Systems can help you meet your business goals. Feel comfortable knowing Dallas POS Systems has a certification in sales, installation, and support of POSLavu iPad POS. Also, we are certified to offer Harbortouch POS Software for restaurants and retail businesses with no up-front costs. From purchasing software and hardware to installation and ongoing support; we are here to support your success.